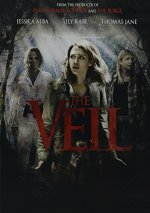 When members of a religious cult known as Heaven's Veil take their own lives, the truth behind what really happened remains buried deep in the memory of the sole survivor, a five-year-old girl. Thirty years later, the girl returns to the compound with a documentary crew as an adult. They soon discover something that is far more terrifying than anything they could have imagined.